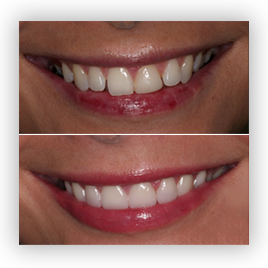 Repair broken, chipped teeth by porcelain crowns, veneers and cosmetic bonding. Missing teeth can be replaced and the gap is filled with the help of dental implants, dentures, braces. Lumineers can be used to fill up the gap between the teeth.